from today World Cup 2015 is only 93 days away. Team Pakistan is in Group B along with India, South Africa, West Indies, Zimbabwe and Ireland. First match On 15th February will be against the historic rivals India. we all know how interesting and close matches of Pakistan and India are and in the end any team can win. 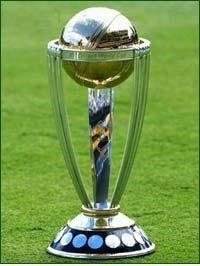 however In World Cups India has always won against Pakistan. This time Pakistan will try hard to change this record. Second match of Pakistan will be against West Indies on 21st February that will be played on a Venue of New Zealanad named Christchurch. In last decade Pakistan has dominated West Indies but in last couple of years the team of New Zealand has become much stronger. Third match of Pakistan will be against Zimbabwe that is not a very tough team so hopefully Pakistan will win this match easily. fourth match of Pakistan will also be against a weak team that will qualify for the World Cup. it is not yet confirmed which team it will be? but its confirmed that it will be a weaker team. In fifth match Pakistan will take on strong South Africa. South Africa is always famous to perform well in the group matches of ICC events. however they loses in big matches. South Africa can give tough time to Pakistan in this World Cup group match. Pakistan's last match group match will be against Talented Ireland that will be played on 15th March in Adelaide. Although Ireland is not a very strong team but it has got some match winners. Its the same team which defeated Pakistan In World Cup 2007 group match after which Pakistan got out of the World Cup. so Pakistan should not take Ireland easy in the group match. these are the six group matches of Pakistan. the toughest are vs India and South Africa. hopefully Pakistan will easily qualify for the Quarterfinals. Top eight teams from both the groups will go to Quarterfinals.